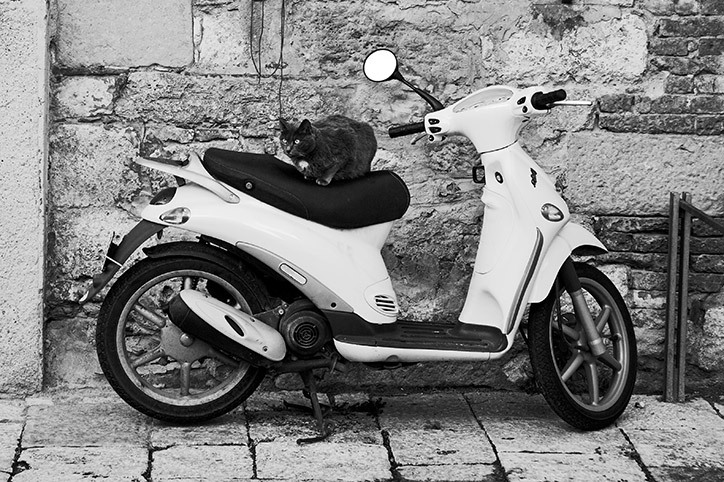 Thought I'd do something simple while I get my other shots organised by posting a cat guarding a scooter in simple B/W in Colle di Val d'Elsa, Tuscany. Currently I'm inundated with photos right now, trying to sort out what can be spiced up and what should be dumped. And many thanks for the comments, for I don't know how I could get the time to comment on other people's photoblogs!